Relaxing comes easy in the softness of this cozy sectional. This modular sofa features four plush seats for yourself, your friends and your family to enjoy. Crafted with an equal focus on comfort and style, this piece offers a look that is modern with clean, linear lines while maintaining an extremely comfortable sit. 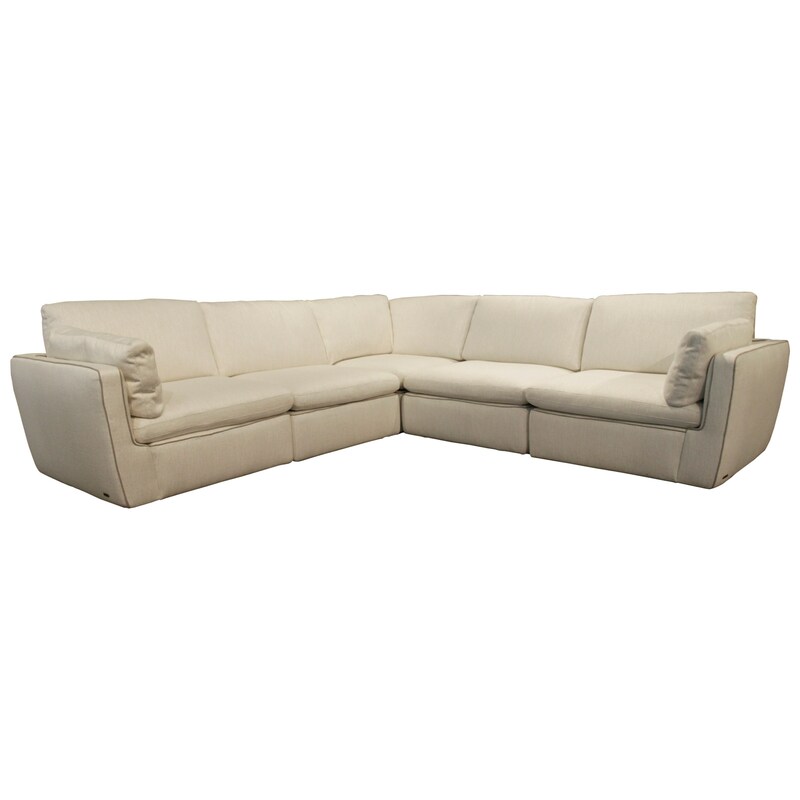 Cover this sectional with your choice of fabric or leather for a piece that truly captures what you've been after. The Leggerezza Casual Contemporary 5 Piece Sectional by Natuzzi Editions at HomeWorld Furniture in the Hawaii, Oahu, Hilo, Kona, Maui area. Product availability may vary. Contact us for the most current availability on this product. Browse other items in the Leggerezza collection from HomeWorld Furniture in the Hawaii, Oahu, Hilo, Kona, Maui area.